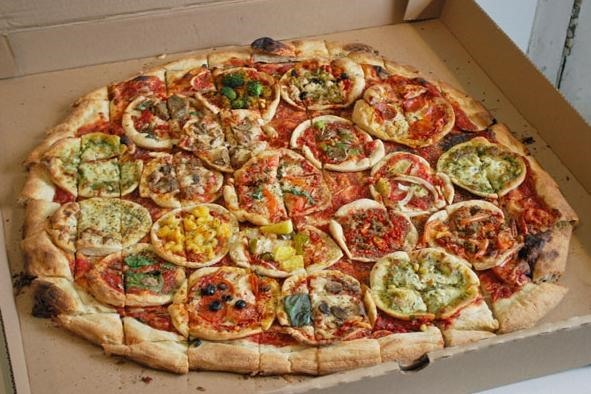 What if you had a pizza made up with tons of tiny, little pizzas (20 to be exact!)? For all pizza lovers out there, that would be one magical, delicious work of art. And for all the art lovers out there, if you're looking to get into what makes this piece heady, check out the interview with artist John Riepenhoff. 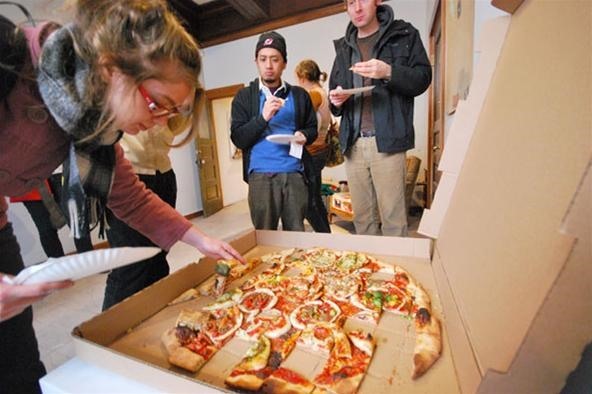 Previously, Eat to Win: Sudoku Pizza. HowTo: Make Mini Pizza Cups. HowTo: Cast Iron Skillet Pizza. HowTo: De-Ice Your Slice (the Lazy Way).